Fall weddings have become more popular over the years and we love it! The crisp air, deep colours and not to mention all the gorgeous outdoor photo opportunities. 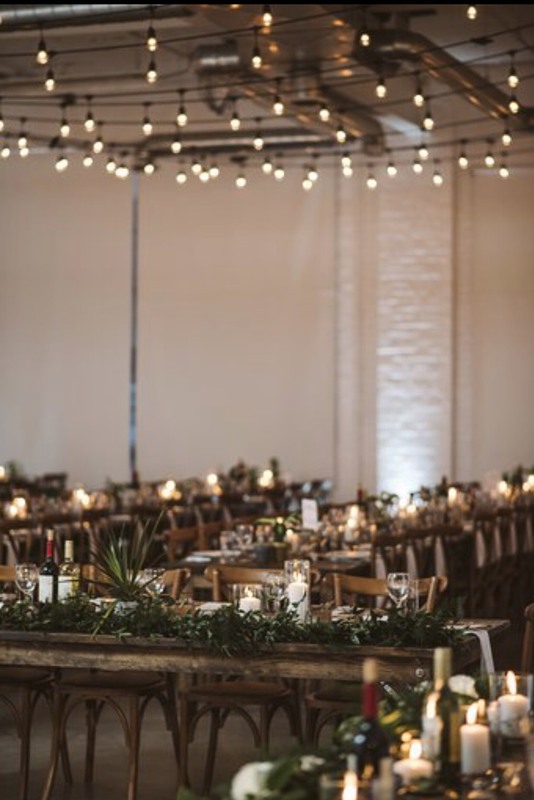 This moody industrial Fall wedding is definitely one for the books and we're so happy to share it with you. We first met Kristel & Alex at Canada’s bridal show. They were one of the last couples we spoke with that day, as the show was wrapping up for the weekend. Lucky for us we didn’t tear down our booth early that was adorned with our new wedding decor rentals Toronto, because we had the opportunity to chat about their special day and how they wanted their wedding to be true to them, (like serve craft beer and include Chinese traditions). Just what our events are all about, unique and full of personal details. 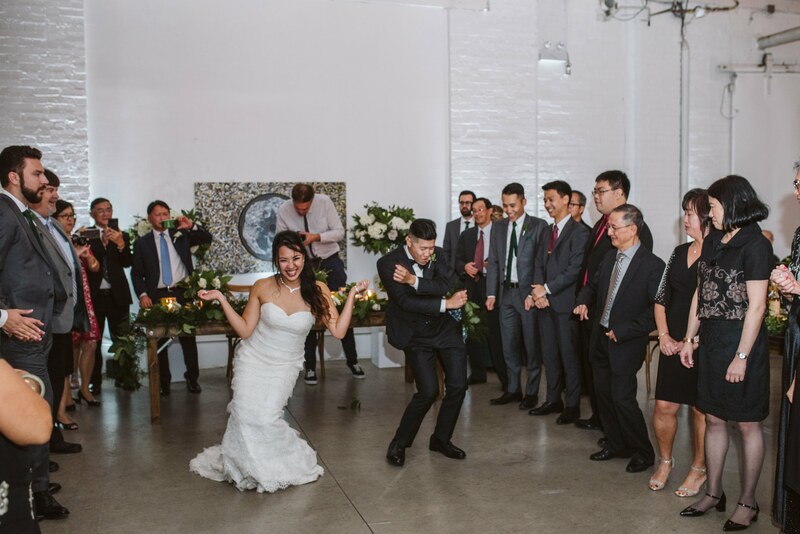 We both knew we'd love nothing more than to be part of their SUPER fun wedding. At first, it was going to be an outdoor celebration by the water, but when the venue the couple originally wanted fell through, it was up to Team Blissful to find the perfect space for them. And guess what? It had to be on Oct 19th which was just months away! We’re always up for a challenge, like the time we planned a wedding in a month, so we quickly went to the drawing board. We made a list of potential venues to visit that would work with K&A's style and budget. That’s the beauty of hiring a wedding planner, we do the work for you, and then include you in the fun stuff, like cake tasting or your floral mock-up. 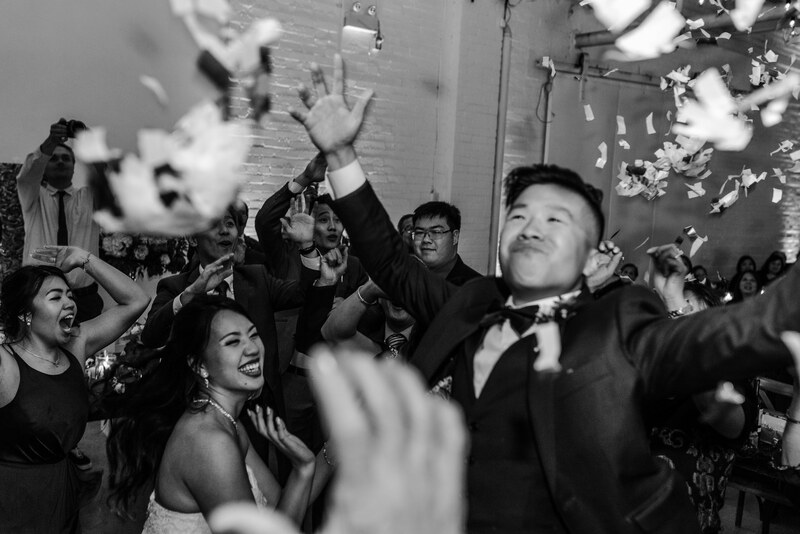 By tapping into our industry experience and expertise, we were able to find the perfect wedding venue for K&A with ease. 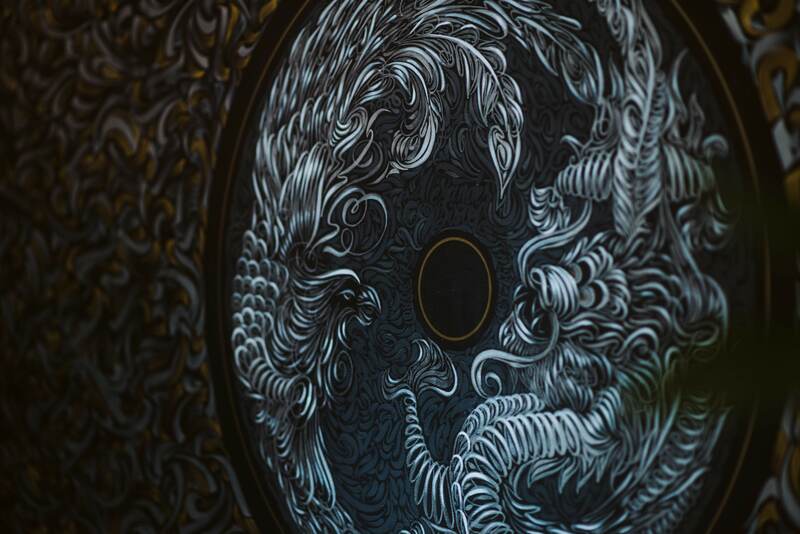 District 28 was the best space for K&A, as it’s a blank canvas and the design possibilities are endless. As mentioned, they wanted an outdoor wedding, so the harvest tables and cross back chairs (that are included btw #win) mixed with the potted plants and succulents from Sweet Stems brought the outdoor vibe, inside! The day started off with their first look at a location that was so special to them, Rouge National Urban Park in Pickering. Since it was a special place to the couple, they wanted their first look to be just the two of them. Right by the water, on a chilly October morning, K&A toughed it out and made this intimate moment one to remember. 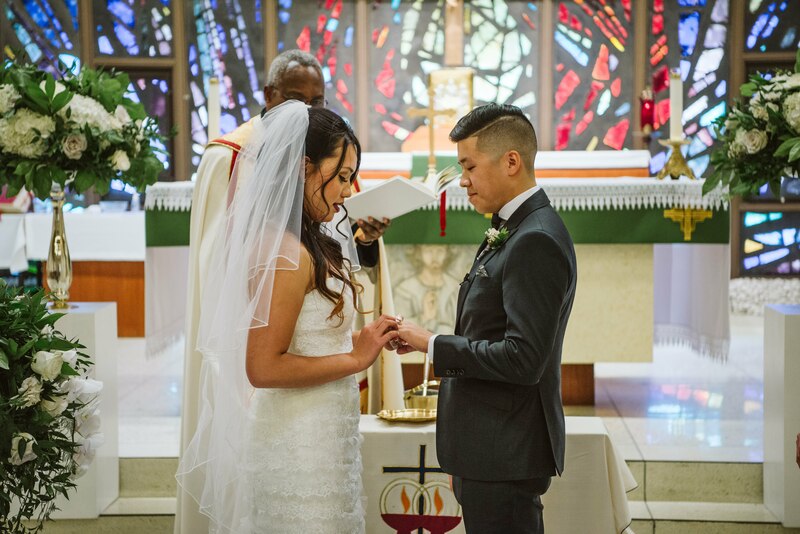 The couple then headed over to Holy Redeemer Church to say “I do” in front of all their family and friends. A moment that had to be captured was a group shot of all the wedding guests after K&A became Mr & Mrs. This makes for a great keepsake for the couple, as they can always look back and remember all their loved ones that shared in their special day. PRO TIP: If you do decide to do a group photo after the ceremony, make sure to have the priest or officiant mention it at the end of the ceremony, so guests are ready to smile. Also, cut out the receiving line and save that for the reception, so the photo can be captured nice and quick. After the church ceremony, the newlyweds and their wedding party headed to a location very close to District 28. Since their timeline was very tight, we suggested choosing a spot on the way to the venue, to avoid falling behind schedule and causing unnecessary stress. After all, it's all about the flow, so be smart when choosing your photo location. 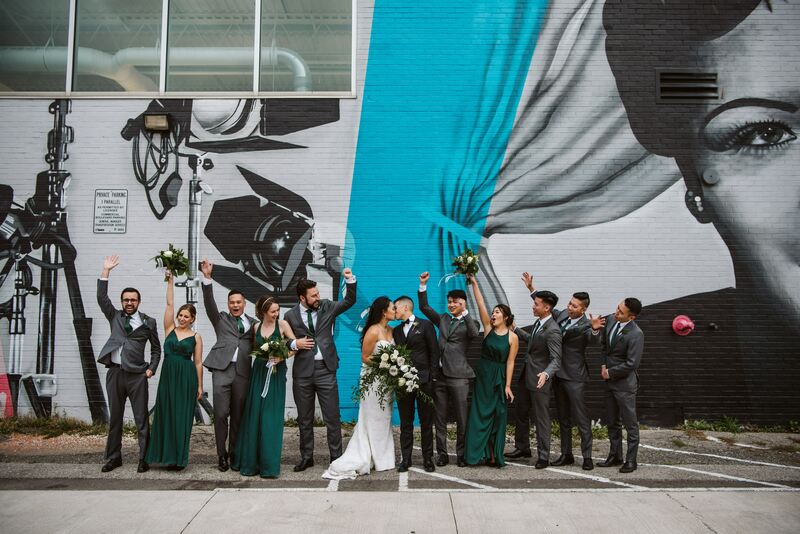 Being big fans of graffiti, (you'll see more of this design element if you keep reading) and to add a bit of edginess to their wedding photos, Nicole Alex Photography found a few alleyways that were perfect for this look. What we really enjoyed about planning K&A's wedding was all the traditions they wanted to include. Again, they wanted their wedding to be a true reflection of themselves and why shouldn't it be, right? 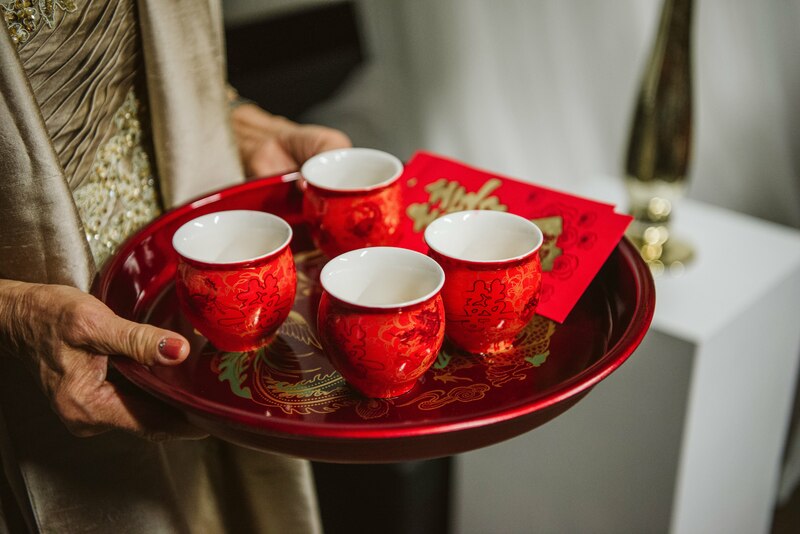 One tradition that they had, and we loved that we were able to add out blissful touch to, was a Chinese tea ceremony. We added light draping which softened the space along with our wedding decor rentals Toronto. It's the bride & groom's way of showing gratitude and respect to their parents for all the years of love and guidance. 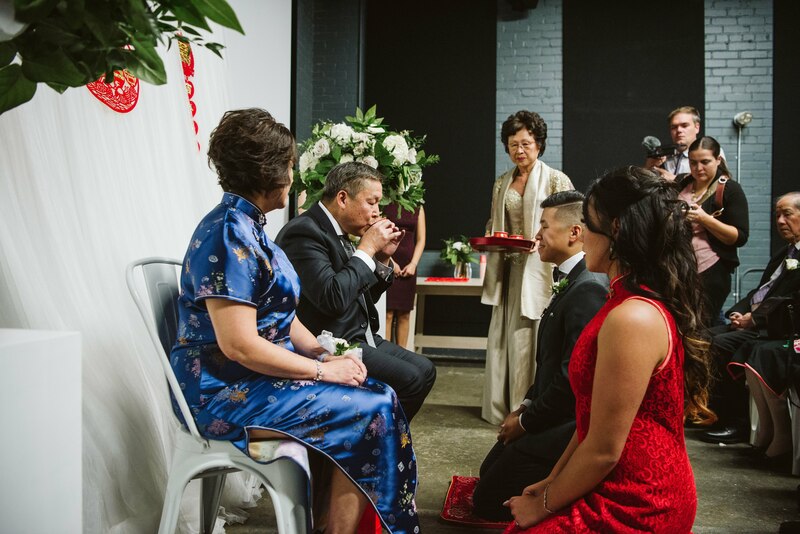 For this special Chinese tradition, Kristel changed out of her white wedding dress and wore a beautiful red qipao. 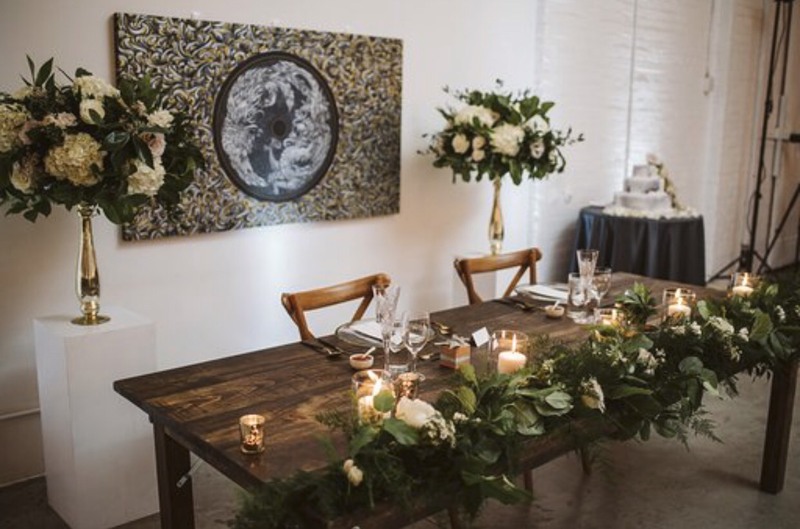 The reception took place in Studio 1, a white versatile space with exposed brick. 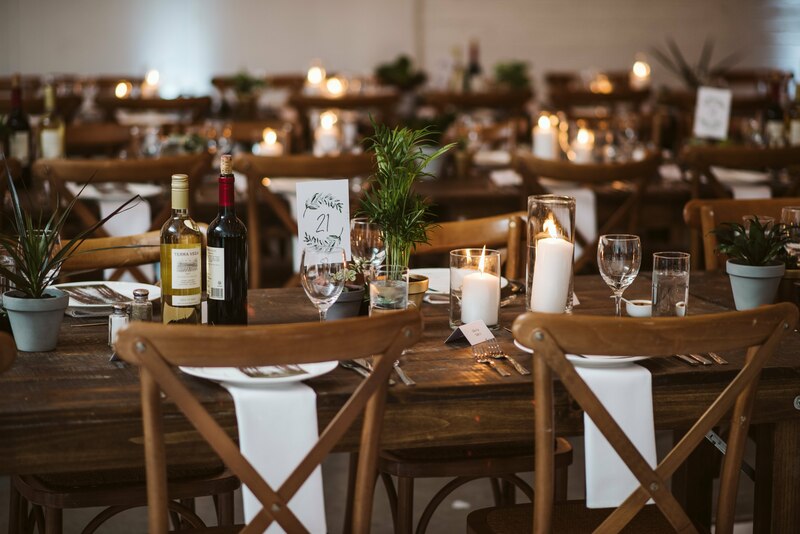 K&A's wedding design was refined rustic mixed with industrial goodness. Long tables were used throughout with the dance floor in the centre. This layout invited guests to all meet in the middle and celebrate the happy couple at some point in the night. For this wedding, it was right when K&A walked in and the party never stopped! The head table was a sweetheart table of just K&A with their wedding party tables beside them. Guests were seated in long rows filled with pillar candles and a variety of potted plants. The simplicity of the design was perfection and exactly what our couple had envisioned. Guests took those plants home as a thank you from the bride and groom. Talk about a great idea - décor and favours all in one! 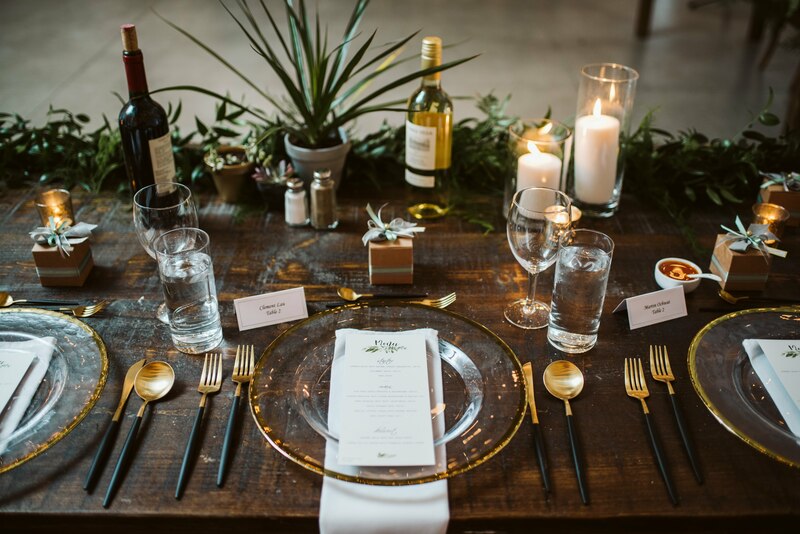 Our wedding decor rentals, Paris collection cutlery paired perfectly with our Valetta chargers to elevate the table design and add a modern feel. A special touch was added to each place setting as the bride's aunt made traditional sweets for every guest to enjoy. 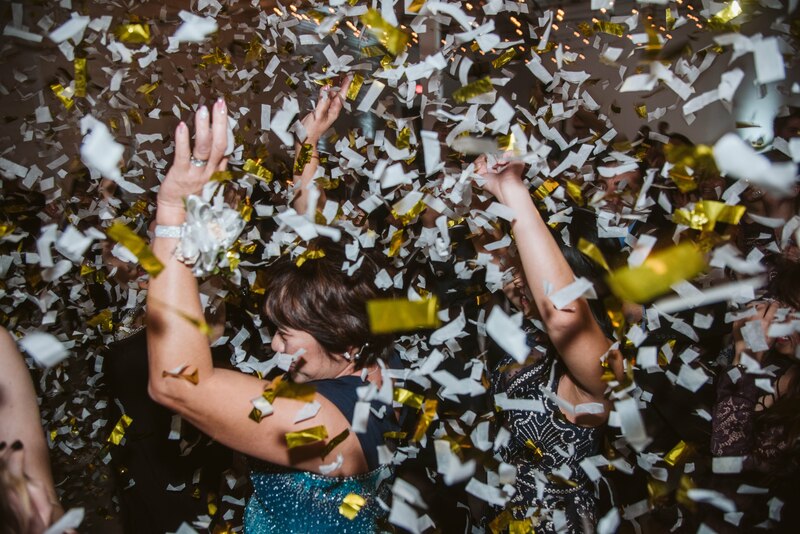 To get the party started, the guests were asked to join the couple on the dance floor as they did a little dance of their own.Once the crowd started to grow, a confetti blast went off which set the tone for the night. It was a celebration of #TeamAKlove and they didn't stop the party until the lights turned on! Wedding planning should be a fun and exciting experience and hiring a wedding planner can make that a reality. Whether you choose to be extremely hands on and just need advice on specific elements of your wedding, or you both lead busy lives and require a professional to take care of all the details, we have planning packages and wedding decor rentals that work for every couple. 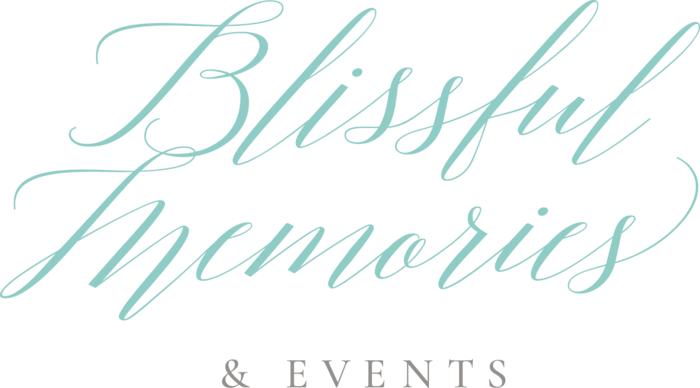 We're also happy to customize any of our wedding planning packages so they best suit you. Get in touch today and let's get planning!